There is little doubt that Tiree is the sunniest place in the UK – that fact was proved with Tiree getting the highest UK sunshine hours in April and May this year – 270 hours in May! 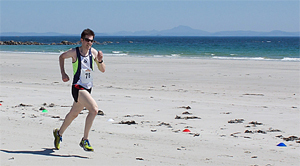 The Tiree 10k weekend was one of the hottest with temperatures up into the mid thirties. So, despite the last minute ferry delay which meant about 75 runners were stuck in Oban and had to go home, we still had a great turn out from local residents and visitors who entered into the spirit of the event and made for a successful day rounded off with an amazing dance with Trail West. There was a group of 33 runners and walkers who travelled from Mull and Iona as well as a group from Coll, both groups having chartered their own boats to get here. Mhairi Killin from Iona said: “My friend Nikki inspired us all to achieve something we thought we couldn’t achieve. 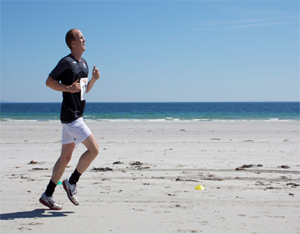 It was a great experience.” For more information on the inspiring story behind the Iona Runners go to http://www.justgiving.com/NicolaHodge.